Selling a Home in Dallas? 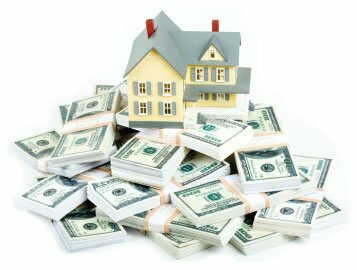 Buying a Home in Dallas? With Dallas-area home prices in many neighborhoods up by 10 percent or more so far this year, 2013 is shaping up to be one of the best years for the local housing market in decades. Local pre-owned home sales in the first half of this year are running more than 20 percent higher than in the same period of 2012. They’ve set a North Texas sales record for a six-month period. Some Dallas-area residential districts are experiencing the largest home price gains this area has seen since the 1980s. Housing analysts and real estate agents predict that North Texas home sales and prices will continue to rise during the rest of this year, even with the recent increases in mortgage costs. Concerns about the home market getting overheated are overblown, they say. “The increase of sales we are seeing is a pure function of economics,” said Ted Jones, chief economist for Stewart Title Co. “This is not false hopes. With the Dallas-Fort Worth area among the top five employment growth centers in the country, Jones said, it’s only natural that demand for housing is so strong. “In the last 12 months, the D-FW area created 104,600 net new jobs — that’s a lot of jobs,” Jones said. “In that same period, the total residential permits issued in this area were 34,720. A shortage of homes on the market is driving big price increases in many neighborhoods. At midyear, some neighborhoods including Far North Dallas, Coppell, Richardson and Grapevine had less than a 11/2-month supply of homes listed for sale with real estate agents, according to data from the Real Estate Center at Texas A&M University and North Texas Real Estate Information Systems. A six-month housing inventory is considered a balanced market. Real estate agents say competition is still fierce for prime properties. So far the increases in both home costs and higher interest rates haven’t dampened demand. But for the Dallas-area, home prices have never been this high. The median pre-owned sales price is now close to $186,000. While no one expects any kind of a downturn, most economists predict that housing activity in North Texas and across the country will moderate in 2014. “My short-term outlook is for more of the same,” Jones said. “But I expect that housing values may not go up as much next year as in 2013. Comparable Market Analysis (CMA), provides information about properties that are relevant in determining the fair market value for your property and ultimately the proper listing price for your home. Fair Market Value has been defined as . . . The highest price estimated in terms of money which the property will bring when the property is exposed for sale in the open market by a willing seller, allowing time to find a willing buyer, neither buyer nor seller acting under compulsion, both having full knowledge of all the uses and purposes to which the property is adapted and for which it is capable of being used. This market value definition presupposes perfect knowledge on the part of the buyer and seller. Since this perfect world rarely exists, our estimate of price is generally indicated as a range. This is an opinion of value or comparative market analysis and should not be considered an appraisal. I utilize many tools available to me as a real estate agent. They include: comparable sales, competitive listings in escrow, square footage, location, amenities, and the general condition of the property. I will use reliable information currently available from the local Association of Realtors, local real estate firms, home builders, and title companies. It does not reflect every property of comparable value for sale now, but it will represent a good cross section of the competitive real estate inventory and recent sales. Please note that while no property is exactly like yours, other properties can provide a good reference source in a comparable market analysis. The estimated value I derive for your property does not mean that the sale of the property could not occur at a higher price. The price you ultimately receive, of course, will depend on your motivation, the motivation of the buyer, and market conditions at the time offers are received. Once we have tested the market at this price, we will make periodic reviews to ensure we remain competitive. · Location is the single most important factor in determining the value of your home. · Prospective buyers compare your property against competing properties. · Buyers will perceive value based upon properties that have sold or are available in the area. · Property values are affected by the current real estate market. · As the real estate market cannot be manipulated, a flexible marketing plan should be developed which takes into account the current marketing conditions as well as individual features of the property. · The condition of the property affects the price and speed of the sale. · Optimizing the physical appearance of your home will maximize the buyer’s perception of value. · If buyers have a choice of two comparable properties similar in price, they’ll choose the one in the best condition. · Pricing your home properly from the beginning is an important factor in determining the length of time it will take to sell your home. · Reviewing this home marketing plan will assist you in determining the best possible asking price. · If buyers have a choice of two comparable properties similar in condition, they’ll choose the one that is less money.